Watch your mind and select only the topics you have prepared thoroughly and you are sure to try. Do not waste time in reading the entire paper questions. Read, select, mark the questions in the first round. Start from an easy to difficult approach, ie for Part C (First try based on priority) and similarly for Part B and A. Count the questions on the first try and calculate the grades (145-160 for JRF candidates and 10 points less for network candidates) or percentage (72% -80% for JRF and 5% less for candidates). If the first round attempt is reaching the desired attempt, then start checking the marked options and correct them. Do not over try in any case to score more as you will be prone to score more negative so the attempt is never just verified for the correct try and now if you think the try is ok then you can try for 1-2 More questions that may be based calculation and not based on theory. Mc2 Academy wishes All The Best For CSIR-UGC NET/JRF Exam Candidates. 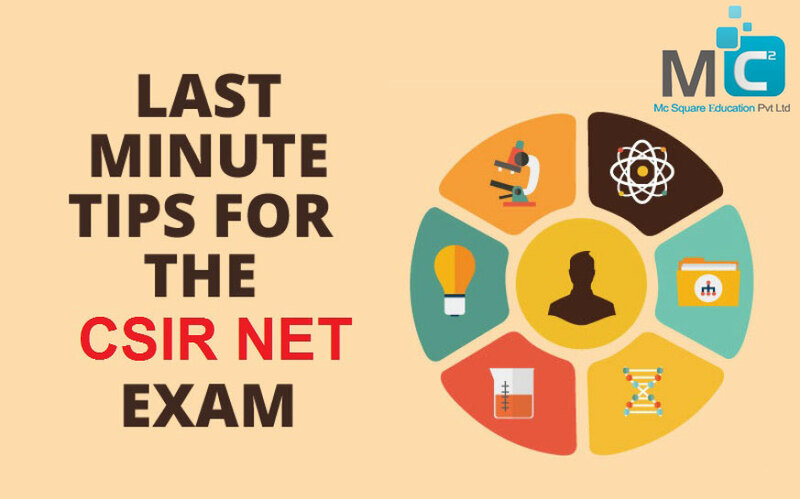 Related Tags: CSIR NET Exam classes in Pune, CSIR NET Exam pattern for life science Pune, CSIR NET chemistry classes in Pune.